On June 28, North Carolina's Governor, Beverly Perdue, vetoed legislation that would have essentially repealed the state's Racial Justice Act (RJA), a law allowing death row inmates to challenge their death sentence based on statewide patterns of racial bias. The law Gov. Perdue vetoed would have removed the possibility of showing bias based on these sophisticated studies. The governor said, "As long as I am governor, I will fight to make sure the death penalty stays on the books in North Carolina. But it has to be carried out fairly — free of prejudice.” Of the first ruling under the RJA, Gov. Perdue said, ”The judge's findings should trouble everyone who is committed to a justice system based on fairness, integrity, and equal protection under the law. Faced with these findings, the … General Assembly could have tried to strengthen our efforts to fix the flaws in our system. Willfully ignoring the pernicious effects of discrimination will not make those problems go away." (Read Governor's full veto statement below). 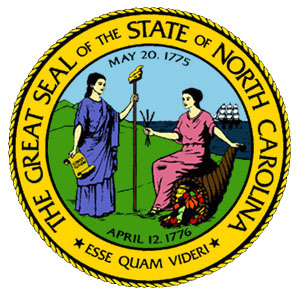 UPDATE: On July 2, the NC legislature overrode Gov. Perdue's veto. The Death Penalty Information Center has prepared a summary of North Carolina v. Robinson, the first ruling issued under North Carolina's Racial Justice Act. The opinion by Superior Court Judge Gregory Weeks on April 22, 2012, reduced Marcus Robinson's (pictured) death sentence to life without parole. DPIC's summary highlights the statistical evidence of racial bias in eliminating potential black jurors that led the court to rule in Robinson's favor. The Court concluded "that Robinson has established that race was a significant factor in decisions of prosecutors to exercise peremptory strikes...from 1990 to 2010," and that the State's rebuttal was insufficient to rebut Robinson's case. Graphs and pertinent quotes in the summary emphasize key points from the ruling and from the Michigan State University study that formed the backbone of Robinson's evidence. See DPIC's summary of the ruling. On April 20, North Carolina Superior Court Judge Gregory Weeks issued an historic ruling under the state's Racial Justice Act finding intentional bias by the state in selecting juries for death penalty cases. In what may be the first ruling of its kind in the country, the court held that “race was a materially, practically and statistically significant factor in the decision to exercise peremptory challenges during jury selection by prosecutors” at the time of Marcus Robinson’s (pictured) trial. Robinson’s death sentence was reduced to life without parole. Earlier this year, lawyers for Robinson presented statistical studies showing that race played an improper role in jury selection in capital cases across the state. The evidence included findings from a study conducted by law professors at Michigan State University that concluded that qualified black jurors were struck from juries at more than twice the rate of qualified white jurors in the state’s 173 capital cases between 1990-2010. Judge Weeks said that the disparity was strong enough “as to support an inference of intentional discrimination.” Many other North Carolina inmates have also challenged their death sentences on similar grounds. April 22 will mark the 25th anniversary of the Supreme Court's decision in McCleskey v. Kemp in which the Court rejected (5-4) a claim of racial bias based on a sophisticated statistical study of the death penalty in Georgia. Warren McCleskey, an African-American death row inmate convicted of killing a white police officer, presented the Court with analysis showing that defendants charged with killing white victims had odds of receiving a death sentence that were 4.3 times higher than defendants charged with killing black victims. McCleskey argued that his death sentence was unconstitutional under the equal protection clause of the Fourteenth Amendment. The Court held, however, that the defendant had to show he was personally discriminated against in the course of the prosecution, and merely showing a disturbing pattern of racial disparities in Georgia over a long period of time was not sufficient to prove racial bias in his case. McCleskey also argued that when race is a factor in selecting who will die, the death penalty is unconstitutional under the cruel and unusual punishment clause of the Eighth Amendment, but the Court decided the study offered was insufficient to prove that the death penalty was being applied in an arbitrary manner. The first hearing to decide whether there has been significant evidence of racial discrimination in the application of North Carolina’s death penalty was concluded on February 15. Cumberland County Judge Gregory A. Weeks, who presided over the two-and-a-half week hearing, will offer a decision based on the state's Racial Justice Act in the next few weeks. Much of the historic proceeding focused on whether race played an improper role in jury selection on capital cases around the time of death row defendant Marcus Robinson’s trial. The focus was not on the jury that sentenced Robinson to death, but on patterns revealed in many cases. Judge Weeks’s decision will likely set a precedent for other North Carolina inmates who have also challenged their death sentences on similar grounds. Lawyers for Marcus Robinson presented findings of a study conducted by law professors at Michigan State University that concluded that qualified black jurors were struck from juries at more than twice the rate of qualified white jurors in the state’s 173 capital cases between 1990-2010. Malcolm Hunter, a lawyer for Robinson, argued, “Overt, explicit expressions of racial bias are rare,” but added that “there is a wide body of research [showing] that race has a huge effect on how we make decisions.” Neil Vidmar, a law professor at Duke University, said the case "could set quite a precedent in North Carolina—and make a lot of others around the country sit up and take notice." A new video produced by the American Civil Liberties Union features three North Carolina citizens who believe they were excluded from serving on juries in capital cases because of their race. The video was released in conjunction with the first court challenge brought under North Carolina’s Racial Justice Act. The defendant, Marcus Robinson, is asking his death sentence be commuted to life without parole because potential African-American jurors were struck from his jury at a rate 3.5 times higher than other potential jurors. Laverne Keys (pictured), who was excluded from a capital jury in 1999, believes she was removed because of her race: “It made me feel like I was back in 1960, that racism is still very much alive. It makes you wonder whether all these people are being given a fair trial or given a fair consequence so far as the death penalty,” she said in the video. Denny LeBoeuf, Director of the ACLU Capital Punishment Project, said, “The stories presented in this video make clear that the death penalty system in North Carolina and across the nation is plagued by discrimination. The Racial Justice Act is a crucial means of ensuring that no one is wrongfully executed because of racial bias.” Watch the video.